When a pet is ill, it is often challenging for a veterinarian to determine the underlying cause. 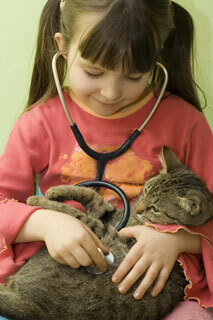 Therefore, veterinarians rely heavily on diagnostic testing to properly identify problems and treat patients. Diagnostic screening is used to evaluate the overall health of senior patients or patients about to undergo anesthesia.